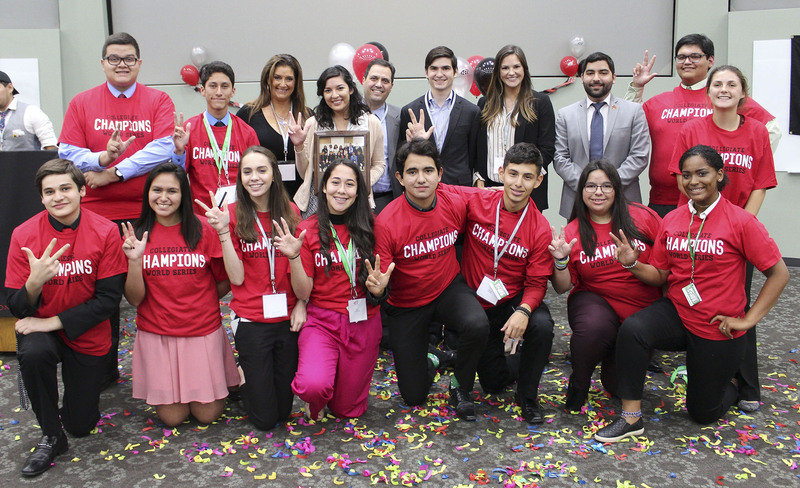 The 2017 edition of the National Hispanic Institute’s Texas CWS (Collegiate World Series) involved nearly 120 students from six states and from Mexico, congregating on the University of North Texas to learn about the college application process and inquiry-based learning. The program, like the others in NHI’s summer program series, provides an opportunity for students to form teams, collaborate, and cultivate friendships that last far beyond the program’s five days. At the CWS, students have the opportunity to participate on two teams — one for the League Series, placing students on teams under the counsel of a college admissions representative, and one for the IBL Series, who students immerse themselves in inquiry-based learning methods. “My experience so far has been a rollercoaster — it’s been non-stop,” said fellow winning team member Louis Ramos. He lauded the event for “giving you one-to-one access with college admissions counselors, and you get advantages that no other student has. The program is supported in part by sponsorships from DishLATINO, State Farm, Union Pacific, and Winston & Strawn LLP; representatives from the law firm were able to attend and see the Texas CWS first-hand.